Tomato-Face™ Technology Alive and Kicking in the Leica SL. The Leica SL continues to garner attention — understandably. The images from this camera are quite remarkable with respect to micro-contrast, sharpness (“bite”), and tonality. I unhesitatingly concede this, even though my original post about the SL postulated that this camera might actually kill Leica. I no longer believe this to be the case, though I still have to question who the intended customer for the SL is (hint: it’s not the professional photographer, no matter what the marketing and some review sites may say). The more output I’ve seen from this camera, the more I think that Leica is using their (patented?) Tomato-Face™ technology, first quietly introduced on the Leica M (Type 240). It’s a more refined version though, with a more subtle tomato rendering. 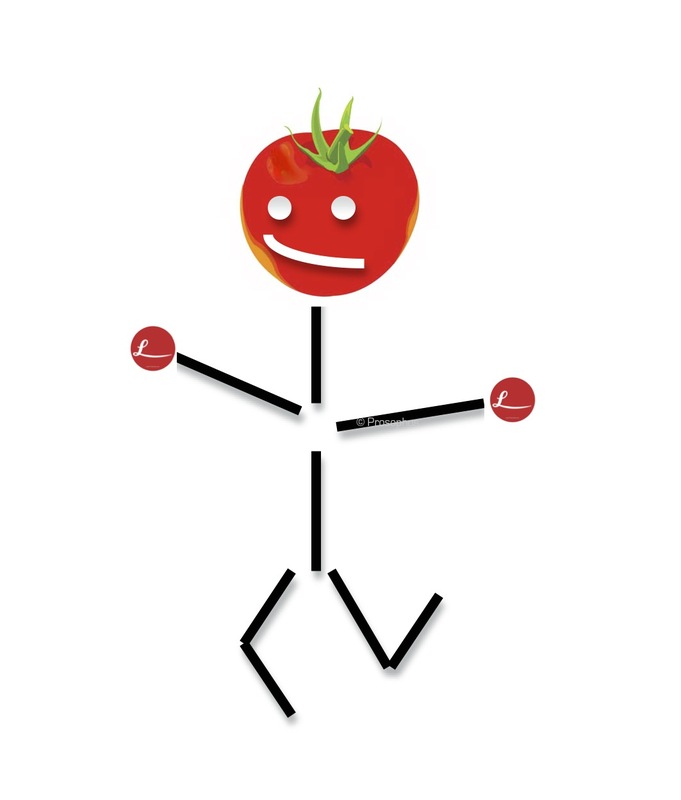 What is Tomato-Face™ technology? 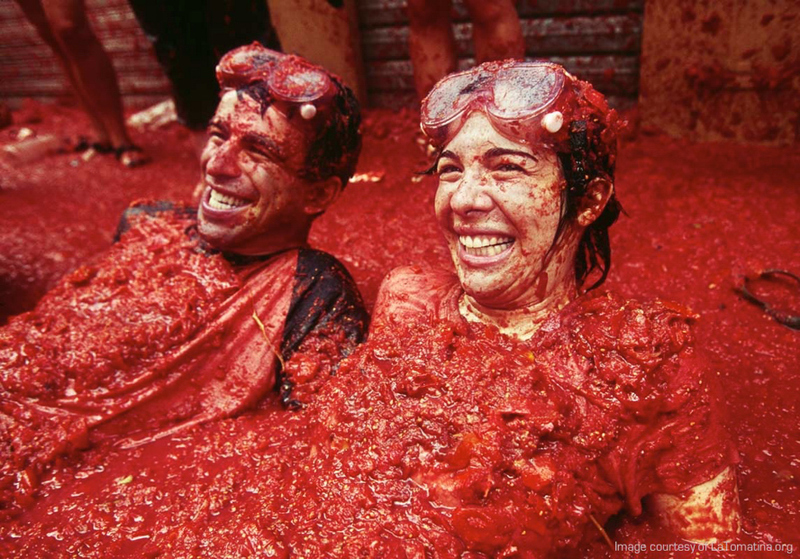 It’s the high tech advancement in digital imaging processing that converts — on-camera — natural Caucasian skin tones to a red-speckled La Tomatina (Spain’s Tomato Festival) participant’s complexion. You aren’t convinced that this is possible? Have a look at some of the online images and then get back to me. Once again, Leica, I’m advising you — for your own good: please bring back an updated CCD sensor for your next Leica M camera (see My Open Letter to Leica – over 600 photographers agree). Hope all is well. I’ve been shooting with the LS for 1 months now and I would agree the images are maybe a little “warm” in the face but overall, much better than the M240. For me, as you probably know, I do a lot of color manipulation because I use VSCO for a lot of my final adjustments. I really like making digital images have a more film look (closest to film I will ever get) and because of that, my colors are always off but I personally like the output. Also, I’ve noticed for a longtime that WordPress some how changes the jpeg images that I upload and always change the colors. I routinely upload pictures to my blog and also to Facebook and the images uploaded to Facebook always look better than the WordPress images. BTW, unsure if you or others have tried using Capture One as your RAW image processor. If you haven’t, I would highly recommend, I’ve been using it for 3-4 months now and I find it to be far superior to Lightroom. I use it to process my images and them move them to Lightroom and make small adjustments there or use VSCO presets to make my final adjustments. Gage, so nice to hear from you. Yes, my understanding is that C1 does better than LR even for M240 images (ironic, considering LR is bundled with Leica cameras). Like I said, the Tomato-Face feature has been refined on the SL. Thankfully. No doubt it has been improved. The Sony sensor will tend to be a little “cooler” (RX1, a7 series) and Leica sensors “warmer”. Gage I’ve been considering this C1 move for the past two months and now making digital images again may “hit the button” on it! Do you use the Wacom screen at all on the hardware front? Expensive though have considered this as well. I don’t use it. I do very well with the trackpad on my Macbook Pro. I now own an iPad Pro and I think it eventually could be a good device to edit on. It is ironic that Leica images are processed better in C1. Probably just do to the fact it’s an overall better platform for image editing. One important thing though, C1 does not work with any medium format cameras except Phase cameras and I think that is one reason why you would never see it bundled with Leica cameras. Last, if anyone’s interested I can post my workflow for C1 and how I transfer it to Lightroom. I’m interested in your workflow. Especially around how you manage in C1 without camera and lens profiles. But all of it, in reality. I have too many questions. I will post my workflow tonight. Unsure if Peter will allow me to post a link to my site (I’m only doing this because I included pictures of the process) but here is a quick workflow of how I import into Capture One and eventually export and then import into Lightroom: http://www.rangetraveler.com/my-capture-one-workflow/. Yes, it seems time consuming but I believe the it works very well for me and does not add a whole lot of time. Absolutely you can! Quite a few have launched their websites through links here, by the way. I just had a look at your post Gage. I really don’t think I will be moving to Capture One soon, as I’ve never felt limited by LR, but it’s nice having your advice at the ready (should I decide one day to try it). However, I’m sure others who are currently contemplating moving C1 will find it very useful. Hi Gage, I would lvoe to hear about your workflow with C1, thank you! Speaking of CCDs, Konost could have been the pioneers in bringing them back. But no – the Konost uses a CMOS sensor (by CMOSIS). So much for product differentiation. I agree had they gone for a CCD they might have snared a nitch market of disgruntled M9 M8 users looking for a upgrade, by going for CMOS and the fact that they are not quick it will be put in a market of same as everybody else. Now that has got me very intrigued! Is there something CCD’ish (or otherwise) potentially on the horizon? Have waited and waited to see what hand Leica or others may play on this front. Was enthused by the note from Leica that they will support the older models with CCD sensors and did not look too much into the fact someone wrote there might be a “new” CCD. Waiting with baited breath for what might be! Wishful thinking I’m guessing. Andrew, “I am not at liberty to divulge details”. My last comment about being intrigued has just gone up a notch. This all has to do with the bias inherent in the physical and software design of the image processing pipeline. The Q, which if rumours are to be believed has the same sensor as the SL, produced reddish skin tones on RAWs but not on the jpegs out of camera when initially launched. subsequently Adobe updated the Adobe Standard profile for the camera such that you can use it in place of camera standard where the skin tones are too reddish, with similar results to jpeg processing in camera. I would assume that the same can be accomplished for the SL if it hasn’t been already. This said though, I found images from the M9 problematic in Lightroom too, with a touch too much magenta and red, which is why I used to use Aperture for processing files from that camera. I love the files from my D810 and A7R for their resolution and dynamic range, but there’s no question that sometimes Sony files have an unpleasant yellow bias and Nikon files have recently swapped their green bias (ala D800E) for more of a magenta bias (essentially the colour profile has moved closer to Canon). Of all the camera manufacturers only Fujifilm has consistently achieved excellent skintones, with mention in dispatches to Olympus (the results with people from the E-M5II are very good). An excellent and fair assessment Simon. Any comment on when “you are at liberty to divulge”???? As soon as I’m given permission. No word yet. I thought you might enjoy perhaps an added perspective from an unusual angle regarding the issue of CCD’s vs CMOS and redness. I am in the dental profession and document dental procedures with intraoral digital imaging. I have been doing so for a long time now. Originally I used CCD based DSLRs. As time progressed, I was tempted by newer technology from camera companies. I tried “upgrading” again and again and again. Regardless of the manufacturer, the switch to CMOS sensors wreaked havoc on attempts at gaining proper white balance for intraoral use. It became virtually impossible to gain the appropriate color of magenta gingival tissue balanced with the whiteness/yellowness or tooth structure. Again, the redness issue was ubiquitous. After much frustration and endless consultation with “professionals” I simply returned to my old Nikon D70 and it’s CCD based sensor and have been happy ever since. I wince to consider the day when the sensor dies. I simply won’t know where to turn. The camera has been around 12 years old now and still ticking. I’m not naive about the limitations of CCDs, but I suppose from my little corner of the world, I’m grateful to still have a CCD sensor camera. It makes my dental documentation far more pleasant than any other camera I’ve ever used. Well from “my little corner of the world” I’m grateful for CCD sensors as well! By the way Adam, the D70 is the first digital camera I ever owned, and I still have it (I can’t say that about my other digital cameras). I also still have prints from it hanging on my walls and they look as good as ever.